Land Your Dream Job guides you through a 7-step action-oriented process that helps you define and land work that aligns with your natural gifts and passions. Over 200 pages with 100 unique exercises. Readers are guided through a proven, seven-step action-oriented process that helps them define and land work that matches their natural gifts and passions. 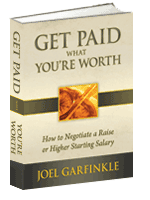 This book has been used with great success to guide clients from virtually all professions into fulfilling vocations. Whether you’re seeking a career change after forty or just starting out in a career, Land Your Dream Job helps you reach your ultimate fulfillment! 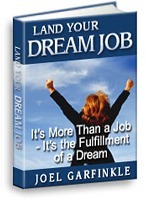 Land Your Dream Job is filled with 200 pages of secrets to turn your job into a dream career. You’ll also find more than 100 unique exercises and valuable information that will help you define and land your dream job. 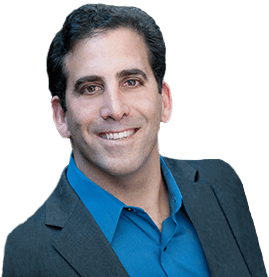 Using engaging exercises and tools, you will reveal the unique talents and passions that make you…you. This remarkably effective process works from the inside out, focusing on the whole person instead of just matching job titles with qualifications. When coupled with Dream Job Career Coaching, Land Your Dream Job is the ultimate resource for people serious about taking control of their destiny. 8 reasons why this book works! 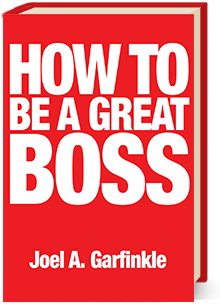 This book has a seven-step process that provides a clear, structured approach to landing your dream job. Each section provides readers with fresh perspectives, powerful solutions, valuable resources, and advice to help them identify and land their dream job. Specific action steps are the primary focus of every chapter—guiding readers step-by-step through the proven and successful Dream Job process. Exercises are structured to teach readers how to apply and practice what they learn so they maintain momentum and achieve immediate results. Self-reflection exercises reveal readers’ talents and passions in an easy, enlightening manner. 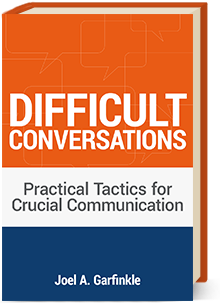 The book provides a feeling of one-on-one support, as if readers are benefiting from an actual hands-on coaching experience. The content is crisp, keeping readers engaged with the progressive seven-step process without becoming discouraged. Two composite characters are featured throughout the book, providing strong examples to whom readers can personally relate. For help landing your ideal work or getting through a successful career change over 40 (or at any age), order Land Your Dream Job today! If you’d like to order a hard copy, please contact Joel directly.